Charter Bus Port St. Lucie, FL. Port St. Lucie Shuttle Buses in St. Lucie County, Florida offer cheap airport shuttle bus service to Fort Lauderdale-Hollywood International Airport (FLL) and Palm Beach International (PBI). Our Shuttle Buses in Port St. Lucie are ready to pick you up and drop you off with our fantastic South Floridian Chauffeur Service and complimentary baggage service and no metered service! Your chauffeur will even hold a sign up for you in baggage claim. Price 4 Limo's Bus service in Port St. Lucie can be used as a great activity bus for a tour group visiting this wonderful city just north of Palm Beach. Hire a VIP Bus in Port St. Lucie for a trip to Tradition Field to watch the Amazing Mets during Spring Training. Take a shuttle bus toSt. Lucie River Princess for some relaxing hiking along nature trails or the Savannas Preserve State Park. Port St. Lucie VIP Charter Buses in Broward County providescorporate transportation services for the businessmen from all over the world. 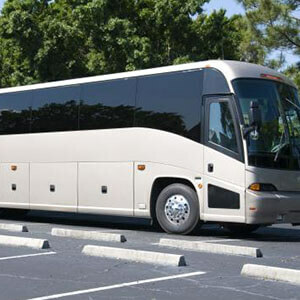 Executives can take a VIP Limo Bus or Executive Shuttle to the Thirtsy Turtle or the Tin Fish Restaurant for some great food and drink after a long day of meetings and conference calls right on Port St Lucie Blvd.HS Students use our cheap affordable buses for Proms and Homecomings. Our chartered vehicles can also be rented as Beach Buses to Vero Beach, West Palm Beach or Melbourne for Spring Break or for a day trip to Pompano community Park or Mack's Groves of the Indian River. Tour groups usPort St. Lucie Charter Buses for comfortable VIP rides to the PGA Gulf Clubin PGA Villages' Dye Course. When the sun goes down, let Port St. Lucie VIP Buses be your exclusive designated driver, delivering you safely with door-to-door service after a night out in Melbourne Beach or Vero. No one has to worry about finding parking or driving after a few drinks. With so many activities to do in Port St. Lucie why not let our skilled drivers take you to all the sights? Take a Shuttle Bus in Port St. Lucie to go sightseeing all over the beautiful treasure coast. Take a trip to the Local Seminole Hard Rock Casinon Hollywood or Tampa. Port St. Luciebuses also provide seaport transfer from Port Canaveral or Port Everglades to any airport, hotel or residence. We can shuttle you to the Bolo Sports Charter Boat so you can fish in the reefs. But if you don't catch that mackerel you've had your eyes on, Port St. Lucie Shuttle & Charter Bus Service will gladly drive you to the best that has hosted musical acts such as the Gypsy Kings and the one and only Beach Boys. With our Port St. Lucie charter buses everyone will arrive to their destination in style and leave feeling relaxed and excited and relieved that they won't have to deal with chaotic Palm Beach or Port St. Lucie County traffic. Price 4 Limo's Port St. Lucie Bus Service will take you and your guests anywhere in Florida safely and in comfort. Our Driver-for-Hire coaches include high-end courtesy service and extra storage space. Whether you need to do your monthly shopping before heading to the port for a cruise or before heading to Gloria Estefan's Casa de Oeste Hotel in Vero for an evening of Comedy and fine dining, Price4Limo will find you the very best and most affordable Port St. Lucie VIP Charter Bus service. Don't use overpriced bus companies in Port St. Lucie and let us give you the most affordable limousine and bus service that Florida has to offer! Get a bus quote instantly by filling out the information here on Price4Limo-the best place to book your VIP Corporate Bus Charter and Shuttle Rental Service in Port St. Lucie, Florida.